Galileo’s Drama: Different Set, Additional Actors, a New Play for Europe’s GNSS? 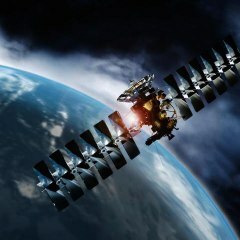 Passage of a new regulation on Galileo sets the stage for the next phase of the €3.4-billion satellite navigation system’s development under a public procurement but leaves many details to be worked out among the key players: the European Commission (EC), the European Council, the European Parliament, and the European Space Agency (ESA). Meeting in Strasbourg, France, the parliament adopted the measure on April 22 with 607 votes in favor, 36 votes against, and 8 abstentions. “Things are looking up, finally, for the European GNSS programs,” Paul Verhoef, head of the Galileo unit in the EC’s Directorate-General for Transport and Energy, told an April 23 plenary session of the European Navigation Conference 2008 in Toulouse, France. A convergence of developments over the past few months has brought Europe’s Galileo program to the most critical passage of its history — at least, since final approval of the GNSS initiative by the European Space Agency (ESA) and the European Union (EU) in 2003 and 2004, respectively. Russian officials are working to develop a plan that will meet Russian President Vladimir Putin’s directive to have the full GLONASS constellation in place by 2009 instead of 2011.